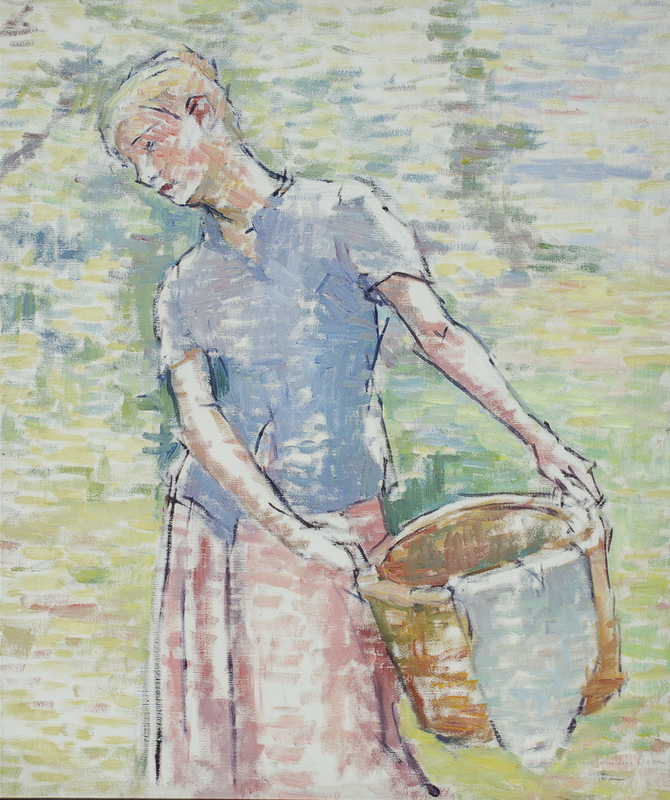 Grace Spaulding John ( 1890-1972) Girl with basket o/c signed l/r 30 x 25″. Framed p.o.r. Grace Spaulding John was born February 10, 1890, in Battle Creek, Michigan. She moved to Beaumont, Texas at age 13. It was a time when oil was discovered, and her father became the editor of the Beaumont Enterprise. Her first art lessons were from Penelope Lingan of Beaumont and later Houston. John was sent to study at the Chicago Art Institute*, the Art Students League* in New York City, and the Pennsylvania Academy of Fine Art*. She returned to Texas and married the great-grandson of Sam Houston, Alfred Morgan John, a prominent Houston attorney. 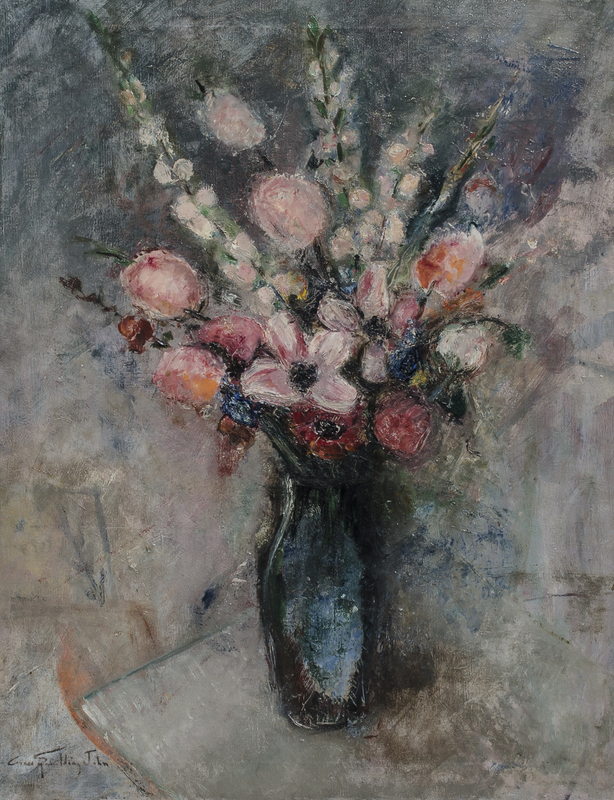 Grace Spaulding John was one of the first artists to have a solo showing at the Museum of Fine Arts, Houston. John was known for her oils, lithographs, etchings, watercolors, true Italian Frescoes, linoleum and wood block prints. She was also a recognized poet. Three books of poetry were published and illustrated with her line drawings. Examples of her work may be found in many national galleries including the Smithsonian and Museum of the City of New York. John was known as “One of the most colorful artists of the twenties.”(Fresh Paint 1985). She organized the first professional artists gallery in Houston. Headquartered in the basement of of the Beaconsfield Hotel on Main Street, the Houston Artists’ Gallery opened in November 1930.